When thinking of potential European stars that any given MLS team could have, the initial thought is to dream about guys like Zlatan Ibrahimovic, Cristiano Ronaldo and the like. Their prowess is undeniable. I’m sure Frank Lampard would be saying the same, given his inability to get on the pitch and his lackadaisical nature when he does. Even the maestro himself, Andrea Pirlo, has discovered that the technical beauty of European football doesn’t necessarily translate perfectly to the physicality and athleticism of MLS, seeing as how those are two of Pirlo’s weakest traits. Teams looking for a player to have a massive impact on their team – but without some of that star power – need look no further than Arsenal’s Mathieu Flamini. Out of contract this summer, Flamini fell under fire this year because of his shortcomings, but their are so many areas of Flamini’s game that make him perfect for United States soccer. For starters, he has the heart of a lion. You will not see Flamini loafing about the pitch looking for something to do. He will always be hounding the ball, wreaking havoc and when it’s effective, he can be a wrecking ball for opposing midfielders. Not only that, but he has the two things Andrea Pirlo lacks – athleticism and physicality. England is a physical league in and of itself, but it has the tact to go along with it. MLS not so much. Flamini’s physicality from his smaller frame, which was often times exposed in England, would be a welcome addition to an MLS franchise. Then there is his athleticism. As mentioned, you will never see Flamini loafing. He is always hustling. 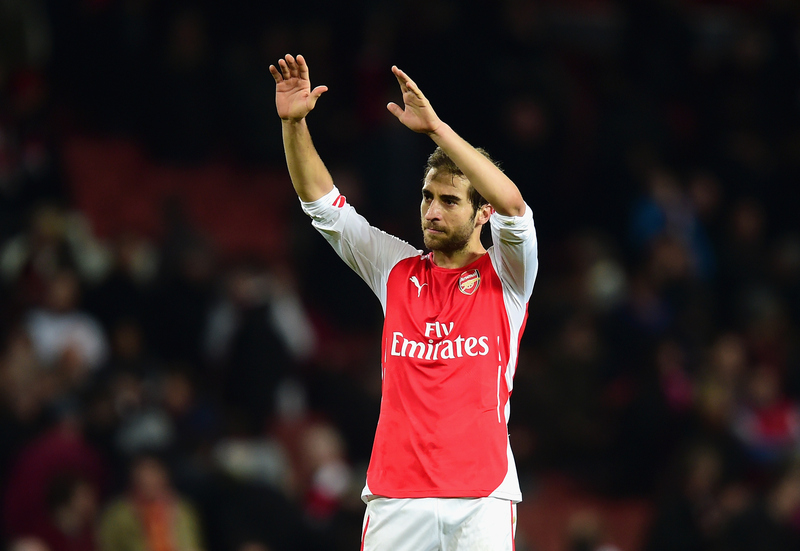 Flamini also has intelligence and leadership. This is where I get into the claim that he could captain an MLS side. Even in his lesser state at Arsenal, when he was on the pitch, he was marshaling his team mates around. When manager Arsene Wenger gave him a task – he accomplished that task. Whether that task was staying at home in the midfield or finding space going forward, Flamini did what was asked of him and his team mates did what was asked of them. He kept order in an often chaotic midfield set up. Finally, for those wanting to be dazzled, Flamini does have a touch of the heroics. He scored two of the most unlikely goals against Tottenham and has a knack for popping up in goal-scoring situations. His unbridled passion will burst when he scores and subsequently celebrates, a trait that will endear him to fans and team mates very quickly. Flamini is only 32. He has years left to give and any MLS team that wants an adhesive to tie their team together need look no further than the biochemical genius.